Althea Gibson was the first African American to win a singles championship at Wimbledon. She paved the way for stars like Arthur Ashe and the Williams sisters, to name the best known ones. 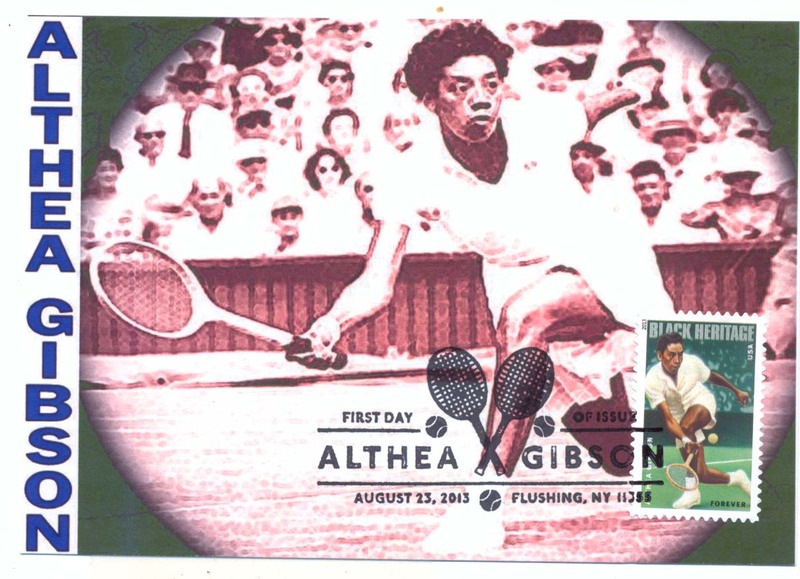 On 23 August 2013 the United States issued the 2013 Black Heritage stamp honouring Althea Gibson. Pictured here is a limited edition maximum card; the stamp is postmarked with the pictorial first day of issue special cancellation.